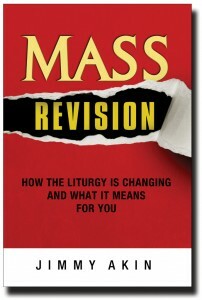 Jimmy Akin is locked away and hard at work getting his next book ready for the revisions in the Mass. Would you like to contribute to Catholic Answers to assist in this timely project? If so, click here and see what you can do. Previous post: So, What’s Going on Here?